Glitch Reporter: Visa Network Disruption Hits Parts of Europe - Blame GDPR? 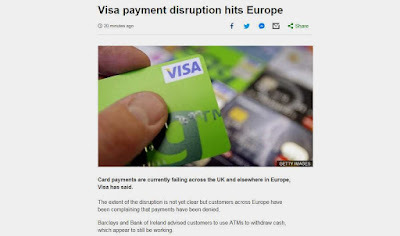 Visa Network Disruption Hits Parts of Europe - Blame GDPR? Just kidding about GDPR -- I think. The critical infrastructure the underlies the financial system includes platforms like Visa and MasterCard. 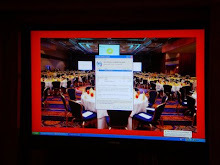 The associated dependencies sometimes go unnoticed -- until there is a glitch. Looking forward to a root cause analysis . . .
After seeing your article I want to say that the presentation is very good and also a well-written article with some very good information which is very useful for the readers....thanks for sharing it and do share more posts like this. A very nice guide. I will definitely follow these tips. Thank you for sharing such a detailed article. I am learning a lot from you.